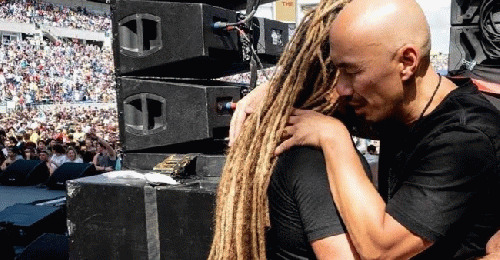 The utter collapse of Francis Chan over the past several years has been both profoundly sad and a hard reminder from God to always walk out your salvation with fear and trembling. As he was nearing his end, the Apostle Paul referred to himself as having finished the race. Nothing is sadder than watching a former evangelical darling fall so short of the finish line. Chan was a household name for those seeking sound doctrine that did not compromise for many years. Then something funny happened on his way and he found himself at the One Thing Conference in 2013. This annual conference was held at IHOP and organized by renowned heretic and false prophet Mike Bickle. The Charismatic world went apoplectic and begged Chan to reconsider. When speaking at One Thing, Chan admitted that friends and family had advised him to not go but in the end he declared on stage that he "loved Mike Bickle." The downward slide had begun. He appeared at another One Thing Conference and through the years showed less and less discernment regarding false teachers. He openly defended some of the most voracious wolves of our time and belittled anyone who would seek to speak the truth. Then this year the straw the broke the back for many of his defenders was when he was announced as a speaker at The Send, organized by the NAR's own Lou Engle. Chan shared the stage with a gaggle of the worst false teachers and prophets on the planet, including Todd White, Heidi Baker, Bill Johnson, Shawn Bolz, and General Cindy Jacobs. Apparently enough people have become outraged because Chan has written the above linked explanation to try and extinguish this dumpster fire he has created. Within this explanation there are four questions he tries to answer. Two of them are not relevant for this examination. The first is in relation to what Chan believes about the prosperity gospel. I encourage you to read it so you can see why so many are so disappointed in Chan. He has such a firm grasp on doctrine that it only makes it that much more disappointing to see him share his credibility with such obvious hucksters and shills. His answer on the prosperity gospel is solid but what he fails to realize is why people are asking him that. It is not because of what he preaches but whom he endorses. If you preach the solid Gospel at a conference and everyone else does not, you have endorsed the false to the point that your sliver of truth is rendered meaningless. In this defense, Chan reveals that when people ask him to take pictures with them he doesn't want to be rude but fails to see why so many of the false teachers want a photo opportunity with him! It is an instant shot of biblical credibility to be photographed with someone widely considered a solid teacher. Maybe if you were not at the singular event of the year for false teaching, you wouldn't find yourself needing to be rude to so many wolves. The fourth question in this defense is simply about why he waited so long to answer his critics. That is neither here nor there for me. I assume he waited until the outcry was too shrill and decided to try and put out the fire. I do not begrudge that but he could have done himself a bigger favor by being more open far earlier. That leaves two questions for us to examine beloved. Let us reason once again.